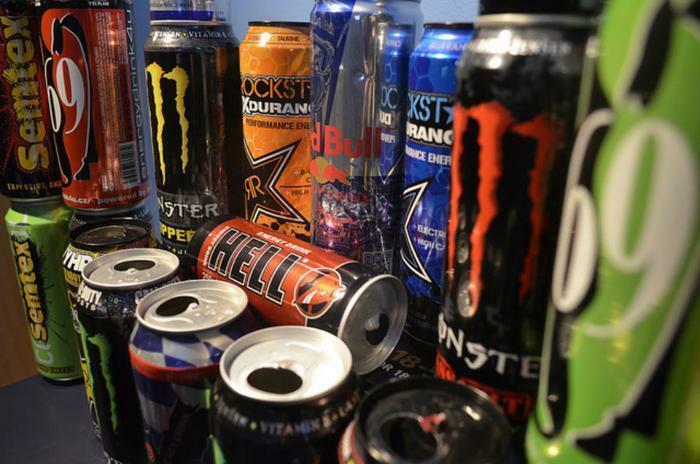 Energy drinks have recently risen in popularity on the back of brands like Red Bull and Monster, but researchers have been leery of the beverages for the last couple of years. In 2015, we reported that these drinks had been linked to sudden cardiac deaths in young people, most likely due to masked health problems that are exacerbated by the drinks’ caffeine content. Now, researchers from Australia are saying that energy drinks could trigger serious cardiac events in people who have a specific genetic heart disease called congenital long QT syndrome (LQTS). The condition, which affects around 1 in every 2,000 people, can cause rapid, irregular heartbeat that could be fatal, especially to those who aggravate the condition by consuming energy drinks. "The potential cardiovascular risk of energy drinks continues to emerge as an important public health issue. The population most at risk is teenagers and young adults, representing the population these drinks are most heavily marketed towards. Since energy drinks are widely available to all ages and over the counter, it is important that cardiovascular effects of these drinks are investigated," said lead investigator Dr. Christopher Semsarian. In their study, Semsarian and his colleagues found that patients who had LQTS and drank energy drinks had sharp increases in blood pressure that could be fatal. Twenty-four patients between the ages of 16 and 50 were recruited for the study, with half being assigned to the experimental group and half acting as the control group. Participants in the experimental group were asked to drink two cans of sugar-free Red Bull, which contained approximately 160 mg of caffeine and 2,000 mg of taurine, while the control group drank the same amount of a cordial-based drink that had no caffeine or taurine. After consuming the products, all participants had electrocardiograms and blood pressure readings taken every 10 minutes to see what effect the beverages had on their body. The researchers found that three of the patients in the experimental group (12.5%) had very high blood pressure readings and “exhibited dangerous QT prolongation,” which could result in sudden cardiac death. The researchers admit that the participants in this study were especially susceptible to negative health risks associated with energy drink consumption; all patients had a documented family history of sudden cardiac death and more than half had symptoms of LQTS and had received beta-blocker therapy. However, to the many people who have LQTS and may not know it, these drinks may still represent a big danger. And since the number of consumers who drink these beverages continues to grow with time, the researchers say that their results indicate a serious health threat that must be addressed. "When something, in this case energy drinks, is ingested by millions of individuals all over the world, a percentage such as 12.5% is no longer small, and the findings deserve careful consideration," said co-author Dr. Federica Dagradi. The full study has been published in the International Journal of Cardiology.